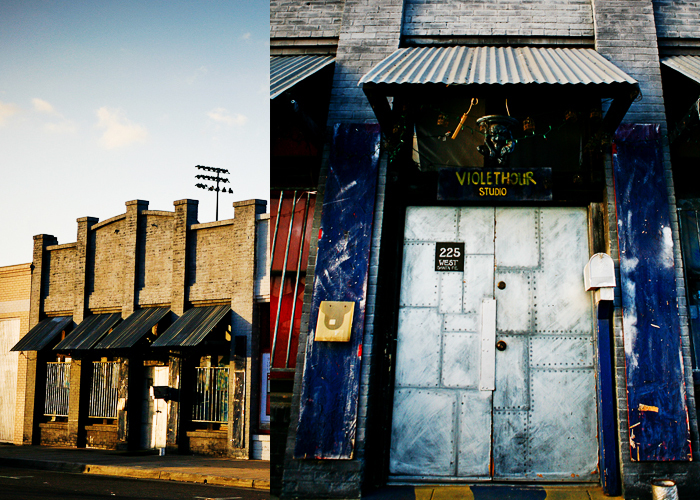 The Violethour Studio is an Art Couture Photography Studio, Gallery & Soundstage. The Viewer does not forget what is seen. The image is etched into the Mind. We, on a flat two dimensional plane manifest the experience of 3-dimensional space moving through Time like Wind across Face. Our ethereal, sensual and surreal style of photography fuses environment, set & costume with a post production process that is the fusion of film and pixel based photography. We facilitate the Viewing Experience and stimulate Afterthought. We specialize in Documentary, Travel, Stage & Motion Picture Still Photography. This is not your typical Art Gallery. The Art is not just on the walls; nor is the Art just that which you can See, Hear, Taste, Touch and Smell – it’s more than that. Art is that which lies deep inside of you. Art is Perception. Established in 1995. 225 W. Santa Fe Ave.